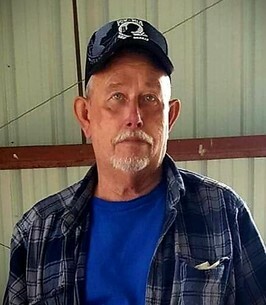 Steven Kent Thompson, 72 of Alexandria died Friday, Oct. 26, 2018 in St. Vincent’s Hospital, Indianapolis after an extended illness. Steve was born in Anderson on Mar. 13, 1946 and was the son of Clarence and Arbutia “Boots” (Hull) Thompson. He later married Pamela (Smith) Thompson on Feb. 15, 1969. Steve served his country during the Vietnam War in the United States Army. He was a skilled cabinet maker and was retired from Gentry Cabinet’s in Anderson. He was a member of the Moose Lodge in Gas City and Alexandria Eagles Lodge Aeries 1771. Steve was an outstanding fisherman. He was a avid fan of the Indianapolis Colts and NASCAR. Steve enjoyed spending time with his boys, watching football with Kenny or doing a woodworking project with Kevin. Left to cherish his memory is his wife, Pamela, sons, Kenny (Lea Ann) Thompson and Kevin Thompson all of Alexandria; two sisters, Betty Cooper and Florence (Henley) Humphrey both of Alexandria; Also surviving are his grandchildren, Jordan (Manna) Thompson, Bridget Thompson, Khloe Thompson, step grandsons, Mark Hall, Kurt Hall, Eric Hall, Kyle Hall; great-grandsons, Layne Snyder, Remington Thompson, Reagan Rose Thompson and all his friends from the lake, Gentry Cabinets and Alexandria. He was preceded in death by his parents, two brothers, Butch Thompson and Dago Thompson; a sister, Minnie Maynard and special friend Elmer Williams. A service to celebrate Steve’s life will be held on Thursday, Nov. 1, 2018 at 1:00 p.m. in Whetsel Funeral Service, Alexandria with Bud Whetsel as Celebrant. Burial will follow in IOOF Cemetery with military rites provided by the United States Army and Elwood VFW Post 5782.. Friends may call at the funeral home on Wednesday, Oct. 31, 2018 from 4:00 p.m. to 8:00 p.m. The Alexandria Eagles Lodge will conduct a memorial service at 7:30 p.m. to conclude the visitation. In lieu of flowers, the family requests memorials be made to The Wounded Warriors Project, P.O. Box 758517, Topeka, KS 66675-8517 or in care of the funeral home. The Whetsel family is honored to celebrate Steven’s life with his family and community. To send flowers to the family of Steven Kent "Steve" Thompson, please visit our Heartfelt Sympathies Store. I am so sorry for your loss. Your family is in my prayers. May God give you comfort during this time.